When senators asked Veterans Affairs Secretary Robert Wilkie in September about the three Trump supporters who’ve been quietly shaping the agency’s agenda from the president’s Mar-a-Lago resort, he minimized his interactions with the trio, saying they’d had a single meeting on a seemingly dry subject: electronic medical records. As unexciting as that might seem, it is a subject that will shape the agency for decades to come. The VA gave a software company a $10 billion no-bid contract to replace the agency’s records system. The new system is supposed to synchronize with data from other providers, as the VA increasingly sends veterans to private doctors instead of treating them in-house. While Wilkie’s comments to the Senate made it sound like the so-called Mar-a-Lago Crowd — a doctor, a lawyer and an entertainment executive with no U.S. military or government backgrounds — opposed the records transition, they actually championed it, highlighting the issue to the incoming Trump White House and making it their top focus, four former officials said. The VA justified the no-bid contract on the basis that it would create “seamless care” for veterans moving between the military, the VA and the private sector. As originally articulated, “seamless care” meant improving medical outcomes and cutting costs by helping doctors make more informed decisions. But Wilkie and his team no longer talk about “seamless care.” Instead, they say the new system will let VA doctors access records from the military — a capability that to a large extent already existed. Some doctors who raised concern about this new direction were removed from the project. As the VA moves ahead with the program, it’s increasingly following the lead of the Defense Department, which is already installing the same software at its own hospitals. But the DOD’s program isn’t going well, either: When four military facilities tested the software, it routed orders incorrectly so that lab tests went unfulfilled, and users swamped the help desk with more than 14,000 trouble tickets. An official DOD review in April said the software put patients’ health at risk by providing inaccurate medical data and delaying care. People who want to protect the VA’s government-run veterans health system fear a similar failure at a VA hospital could strengthen the political forces that want to privatize veterans’ care. The software is supposed to launch in March 2020. The Trump White House’s interest in transforming the VA’s electronic health records originated at Mar-a-Lago on Dec. 28, 2016. The president-elect asked Ike Perlmutter — the Marvel Entertainment chairman, who belongs to Trump’s Palm Beach club and contributed $5 million to a super PAC supporting his candidacy — for help delivering on his campaign promises to veterans. Perlmutter enlisted two friends: Bruce Moskowitz, a West Palm Beach physician; and Marc Sherman, a lawyer who serves as an expert witness in financial disputes. Perlmutter, Moskowitz and Sherman became known to VA officials as the Mar-a-Lago Crowd. Their first act was to organize a summit of health care executives to advise Trump on the VA’s future. Gathered at Mar-a-Lago a few days before New Year’s, the executives brought up replacing the VA’s electronic health records, according to four people familiar with the meeting. The VA pioneered this technology in the 1970s and 1980s, with a homegrown platform known as VistA. VistA was (and remains) popular with doctors because it was tailor-made to their needs. But over the years, the VA struggled to retain coders who could keep the software up to date. Meanwhile, the private health care industry coalesced around records systems built by a handful of software companies. In 2015, the DOD decided to adopt one of these commercial systems, made by Cerner. For many years, the VA and lawmakers had agonized over what to do with VistA. The VA and the DOD had tried before to unify their health records, only to give up after four years and $1 billion. Changing platforms is extremely disruptive — it costs billions of dollars, leads to drops in productivity and can cause doctors to quit in frustration. Private hospital systems can justify these costs because the commercial platforms are designed to support billing. But the VA is different. In 2016, the VA commissioned an outside analysis that concluded adopting a commercial platform offered no benefit over upgrading VistA, according to six current and former officials. Jared Kushner, Trump’s son-in-law, was in the December 2016 Mar-a-Lago meeting and is close with Perlmutter. 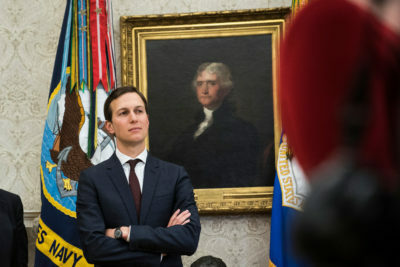 To Kushner, it seemed obvious that the VA should go to a commercial vendor, and it should be the same one as the DOD, according to four people who discussed the matter with him. “Kushner basically said it seems like low-hanging fruit, seems easy, seems like a no-brainer,” a former senior administration official said. The VA had been preparing for a competitive bidding process for a new software vendor, three former officials said. But now that Kushner wanted to put the VA on the same system as the DOD, the only vendor that could do the job was the one the DOD had already picked. That would mean giving Cerner — a Missouri-based company with about 26,000 employees and more than $5 billion in annual revenue — a massive no-bid contract. To bypass competitive bidding, federal regulations required the agency to formally explain how the public would benefit. So in a declaration signed on June 1, 2017, then-Secretary David Shulkin defined the public benefit as “seamless health care for the nation’s veterans.” A single common platform, Shulkin wrote, “will result in improved medical outcomes, improved patient safety, and a consistent patient-physician relationship” by standardizing how doctors treat a given condition, giving them access to patients’ full medical history, and assisting them with big-data insights from across the entire system. Knowing how tough the project would be, Shulkin and his team wanted to find a chief information officer with experience leading a software transition like this. The VA got two search firms to work pro bono and the headhunters came back with several highly qualified candidates, according to three people with direct knowledge of the process. But the Presidential Personnel Office rejected them, the people said. In one case, the White House said its vetting turned up a court-martial during the candidate’s military service, but the candidate said that wasn’t true. In other cases, the White House never gave a reason. Instead, the people familiar with the process said, the White House proposed people who hadn’t worked in health care information technology but had worked on the Trump campaign. Another of the candidates recruited by the headhunters was Jonathan Manis, who was the CIO of Sutter Health in Northern California. Manis, 56, had led software implementations at two large hospital systems and is a veteran. He said he was excited about the opportunity and interviewed with multiple VA officials. But then he heard from Moskowitz, the West Palm Beach physician. Manis said he didn’t understand Moskowitz’s role, but he could tell his opinion was important, or else he wouldn’t have been on the phone. 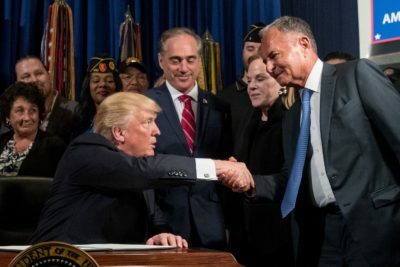 While VA officials said they found the Mar-a-Lago Crowd’s input unhelpful, their own interactions with Cerner and outside experts raised new concerns. At one meeting, according to three people present, Cerner representatives gave a flashy presentation about how well their software would share data with private providers. But Shulkin, a practicing physician, saw through the sales pitch: They were talking only about prescription data, not anything close to the lab reports and images that make up a patient’s full chart. Shulkin cut off the meeting, the people said, and told the Cerner representatives to come back with something real. Woodward-Hagg had been part of efforts at the VA to turn data from electronic health records into useful and reliable insights for doctors. In the end, the efforts were abandoned because of the expectation that Cerner would make them redundant, eight current and former officials said. That turned out to be wrong, because Cerner doesn’t have those features or they’re very limited, experts said. Shulkin delayed signing the Cerner contract to conduct more vetting. Moskowitz joined in a January 2018 session where White House and VA officials discussed the Cerner contract with industry experts; a consultant’s report summarizing the meeting incorrectly identified Moskowitz as an “Other Federal Government” participant. Before Shulkin could finalize the contract, Trump fired him. A few weeks later, the VA got a new acting CIO: a former campaign staffer named Camilo Sandoval. Sandoval had no experience in health IT. But he did have a regular daily call with Perlmutter and kept a spreadsheet to track projects for him, four current and former officials said. He would now oversee the records overhaul. After Shulkin’s departure, the White House and the Mar-a-Lago Crowd wanted fresh eyes to review the Cerner contract. There was even talk of having Sherman become a temporary government employee to carry out the review, two former officials said, but he declined. 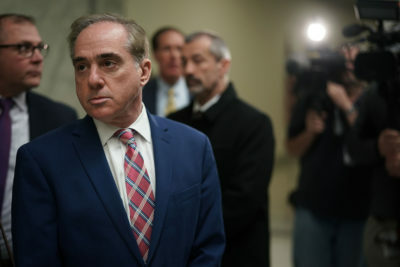 Instead, the White House reassigned an official named Genevieve Morris from the Department of Health and Human Services to the VA. Wilkie (then acting secretary) signed the Cerner contract in May 2018, and Morris took over the office in charge of implementing it. She had worked on software implementations in small outpatient settings as a private-sector consultant, but she had never led anything on a large scale. The industry experts whom the VA had consulted emphasized that clinicians need to lead the program since they’re the people who’ll actually have to use the software. “These initiatives should be regarded as clinical projects, not IT or technical projects,” said Thomas Payne, the medical director of IT services at UW Medicine in Seattle. But tensions flared up between the VA’s clinical leadership and Morris’ implementation office. “I got dismissed from working on this because I would say ‘this is a problem.’ They don’t want to hear about any problems,” said Stephan Fihn, a former director of clinical system development and evaluation who retired from the agency in February. Officials also began encountering more shortcomings in Cerner’s product. It didn’t come with features for some of the VA’s core specialties, such as Agent Orange exposure, spinal cord injury and post-traumatic stress disorder, because these conditions aren’t common in the general population. “Cerner’s focus is on management of their products, where VA’s focus is broader and encompasses activities that fall outside of the products Cerner will provide,” Ash Zenooz, a VA radiologist who became the chief medical officer working on the implementation, cautioned in a program management plan. Zenooz’s report noted that Cerner’s incomplete plan to migrate patient data “provides opportunity for patient safety issues.” The DOD proposed transferring only one to three years of patient records to the new system, five current and former officials said — undermining the premise of a unified lifetime medical history. Morris voiced these concerns but faced internal rivals, three current and former officials said. Sandoval opposed her because he wanted to be the one to lead the project. The same was true of John Windom, who had led the contract negotiations, and of Rich Stone, the acting head of the VA’s health division. The officials said that Sandoval, Windom and Stone met to discuss countering Morris, and that Windom undermined Morris by blocking information from reaching her. Windom declined to comment; Sandoval and Stone did not respond to requests for interviews. In August, the VA spent at least $874,000 on a kickoff event in Missouri, where Cerner is headquartered. Morris and Windom squabbled over stage time and walk-on songs, and she clashed with Sandoval and Stone over how much they would participate, two former officials said. They presented a convoluted organization chart that couldn’t paper over the power struggle. The week after, Zenooz quit. Morris followed three days later. She’d lasted less than two months. The leadership struggles raised alarms on a House subcommittee organized to oversee the Cerner implementation. “It would be a tragedy for the program to be undermined by personality conflicts and bureaucratic power struggles before it even begins in earnest,” the subcommittee’s chairman, Indiana Republican Jim Banks, said in an Aug. 24 letter to Wilkie. Despite the recent resignations, Windom insisted his office was up to the task. “We feel like we at this time have no gaps in leadership or subject matter expertise,” he said. None of the government employees had. But Windom answered “yes,” explaining that he was getting the necessary expertise from consulting firm Booz Allen Hamilton. A Booz Allen spokesman declined to say who those experts are. And four people familiar with the arrangement said most of the work was being done by junior staff who don’t have the expertise Banks was asking about. Within the VA, the three positions that oversee Windom — deputy secretary, chief information officer and under secretary for health — have all been vacant for months. Gfrerer’s confirmation got held up amid the Supreme Court nomination and campaign season. In the meantime, the position is still held by Sandoval, the Mar-a-Lago ally. The acting health chief, Stone, met with two members of the Mar-a-Lago Crowd before taking the job, according to three people who discussed the meeting with him. Stone told the people he paid his own way and listened to the Mar-a-Lago Crowd’s input but felt no obligation to take direction from them. Wilkie told Stone to focus less on the Cerner transition, and Stone has told other officials he has to pick his battles, according to two people familiar with the matter. At the recent subcommittee hearing, some lawmakers appeared so troubled by the VA’s performance that they pondered whether the DOD should be in charge of the Cerner implementation in both departments. The Pentagon looked into it, but agency lawyers determined they lacked the statutory authority to take over, according to two people familiar with the discussions. While not an outright DOD takeover, the statement was revealing as to how Wilkie and Mattis are thinking about the project. Compared with the original goal of “seamless care,” only the word “seamless” survived — Wilkie and Mattis’ statement emphasizes computers instead of doctors and patients. In another sign of this approach, the two departments formed a joint steering committee that doesn’t have any clinicians on it, according to its charter. “If they think they’re implementing a computer program, they’re on a path to failure,” said Taylor Davis of the research firm KLAS. KLAS surveys more than 50 of the nation’s top hospital systems to identify what makes software implementations successful or not. He said he’s offered to share those results with the VA, but they haven’t taken him up on it. Lawmakers and agency officials are still haggling over organization charts to establish on paper how the two departments will collaborate on the Cerner implementation. 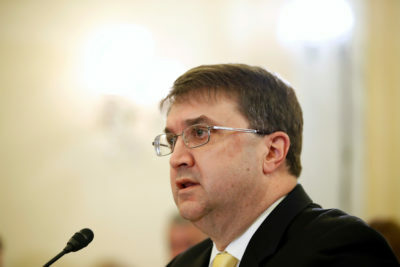 But in practice, Wilkie has already decided to follow the DOD’s lead, according to seven current and former officials. He worked for Mattis before coming to the VA, and he brought a crew of Pentagon officials with him. Cerner has also pushed for the VA to draw from staff who worked on the DOD’s implementation, a person familiar with the talks said. For these reasons, industry experts warned Windom against putting the exact same software in both departments, according to the notes of a person present for the meeting, which occurred in January. At that time, Windom said he accepted that advice. But now, Windom wants 70 percent of the VA’s software configurations to be the same as the ones that the DOD used, according to an Oct. 23 slide deck. 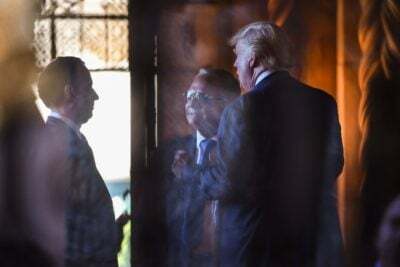 A new lawsuit challenges the legality of a secret Mar-a-Lago troika after ProPublica revealed its influence over the Department of Veterans Affairs. Cerner built its cost and schedule estimates on the assumption that the VA’s implementation would match DOD’s, according to officials and documents, so adjusting the program for the VA could lead to delays and overruns. The VA has already increased its estimate of the project’s cost by $300 million to $16.1 billion, two people briefed on the matter said. But Windom’s approach could lead to a system that isn’t suited to the VA’s clinical demands, as industry experts and VA doctors have warned him. To help address this question, the VA asked Cerner to compare the two departments’ needs. But Cerner didn’t do that, and it said it needed more information to assess the VA, according to Cerner’s report. Aside from their appropriateness for the VA, the DOD’s configurations didn’t even work at the department. The initial test of the Cerner system at four military hospitals last year was a failure. 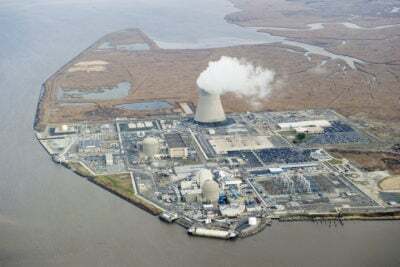 Doctors were trained on a different version of the software than the one that got deployed, two people with direct knowledge of the rollout said. Orders for tests or medications didn’t get fulfilled because the software routed them to the wrong place. Users submitted 14,383 trouble tickets in 11 months, overwhelming the help desk’s ability to respond. Doctors passed around pieces of paper instead. 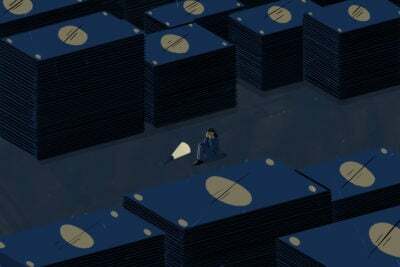 An official review deemed the software “neither operationally effective nor operationally suitable.” Users were able to accomplish only 56 percent of the 197 tasks that were tested. The system scored 37 out of 100 for usability — a score of 70 or above was considered acceptable. Doctors and nurses had to work overtime or see fewer patients because of delays and bugs in the software. They didn’t trust the data they were getting, which the report said “could jeopardize patient safety.” Staff reported 53 “critical deficiencies,” most of which were “potential patient safety concerns,” according to the report. 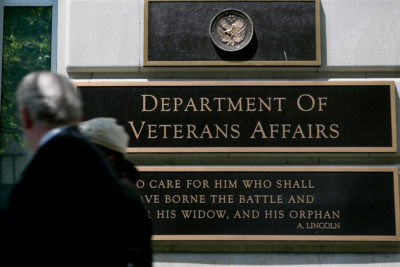 The VA is repeating at least some of the DOD’s mistakes, six current and former officials said. For example, in a list of “lessons learned” obtained by ProPublica, the VA said it will subject trouble tickets to fewer layers than at the DOD, routing them directly to Cerner. But the VA didn’t address the overwhelming volume of tickets or the lack of on-site assistance. More fundamentally, five officials said the DOD’s rollout failed because of how it was managed. The responsibility was spread across three different units, known internally as “the three-headed monster”: an implementation office, led by contracting officers; the health division; and the IT division. That’s the same setup the VA has now. Help Us Investigate: Do you know what’s going on at the VA? Are you a VA employee or a veteran who receives VA benefits and services? 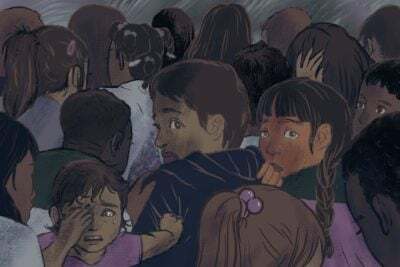 Contact Isaac Arnsdorf at 917-512-0256 or isaac@propublica.org. Isaac Arnsdorf is a reporter at ProPublica, covering national politics.